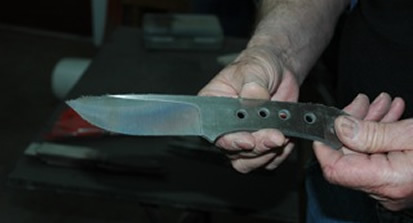 Warren Glover of Bubba Knives began stabilizing his own wood early in 2013. "I felt that the prices that I was paying for wood and the wait time that was common to receive wood that I was having stabilized was unreasonable. My goal is to sell quality wood at a good price. That being said, I decided to charge only $12.00 per block which includes shipping. Cutting the blocks into scales is no extra charge." The woods that we use are mostly that we find in North Georgia. They include Ambrosia Maple, Box Elder, Persimmon, Crabapple, Sycamore, Cherry,Holly, Dogwood, American Hornbeam, Peach and others that may come available. We also have some Hackberry that comes from Tennessee. Our Stabilized woods can be supplied natural or in a wide variety of colors. Also I do have some none stabilized woods for sale that include Desert Ironwood, Cocobola, and Bocote. These woods do not lend themselves to stabilization. Much of our wood is used for knife scales, but can also be used for turning blocks for custom pens, duck calls, wine bottle stoppers and many other craft projects. We will be glad to cut the correct size for your needs and price them accordingly. Welcome to Bubba Knives new venture into Stabilized and Dyed Wood. Most of my woods are gathered here in the mountains of North Georgia. I personally cut and stabilize all the woods that I use. Colors are random and I run very small batches. There is no effort or intent to replicate or match colors. What you see is what you get. The standard size is 2"x5"x1" (+ or -). Your wood can also be cut into scales at no extra charge. Price is $12.00 per block, shipping included. Check our online store for Stabilized Wood for sale. 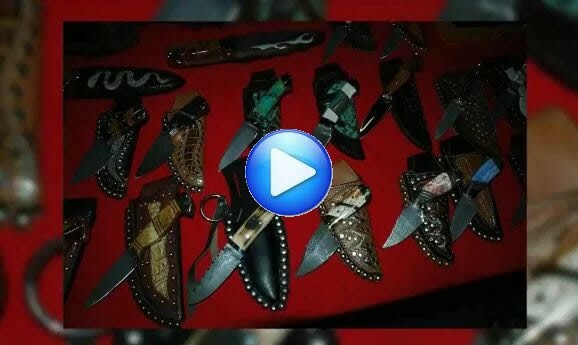 This video shows Warren "Bubba" Glover's many custom made knives, plus the tools and materials he uses to make his custom knives here in Cleveland Georgia. Welcome to the new website for Bubba Knives of Cleveland Georgia. Please browse around and make yourself at home. We consider the knives you see here just the starting point for your next custom knife. Remember a quality custom knife makes a wonderful gift for that outdoor enthusiastic as well as a great tool for many uses. 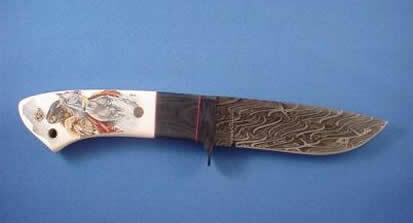 Bubba's Knives, member of the Georgia Custom Knifemakers Guild to ensure the future of the craft. 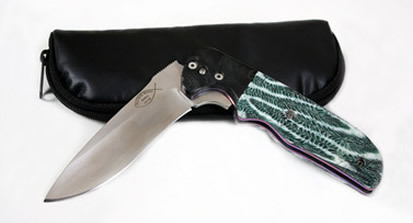 The Knifemakers Guild began in 1970 and is the premier custom knife makers guild in the USA. The worlds #1 Knife magazine is a great resource for all knife enthusiasts. Visit the Blade website to find out more.